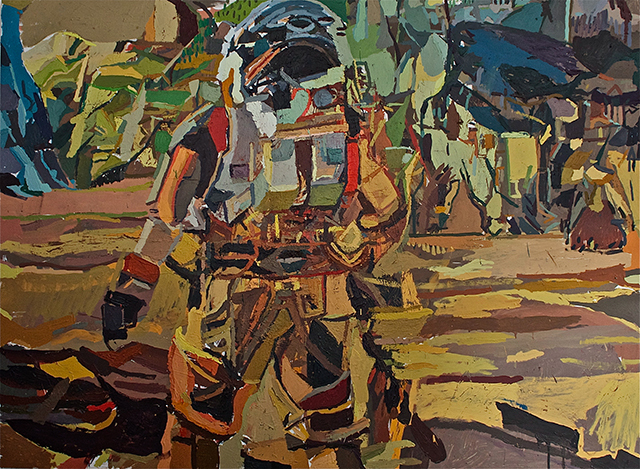 Life on Mars Gallery is pleased to present Reckless in an Ever-Changing World, curated by John Yau with works by Phil Allen, Karen Schwartz, and Clintel Steed. In 1976, the American expatriate artist, R. B. Kitaj, organized an exhibition for the Arts Council of Great Britain that he named Human Clay. I was reminded of Kitaj’s title when I began thinking about how to put together this exhibition. I wanted to make a distinction between painters who made images and were interested in resemblance, and those who worked with paint as if it were some kind of clay, a material to shape and interact with, while responding to their subject matter. This is not exactly what Kitaj had in mind when he coined the term, but I think the viewer will see what I am getting at. In addition to Steed, I have selected two other artists – Phil Allen and Karen Schwartz – for whom painting is also an open-ended process. They do not know in advance what the outcome will be as they develop a painting; improvisational in approach, they bring both observation and imagination into play. It is the interplay between the seeing eye and the mind’s eye that unites these artists: they believe that painting is a means of discovery rather than an efficient delivery system. Along with figures and making portraits, they have painted landscapes, both seen and dreamed; abstractions made up of interlocking facets of paint, or populated by mythic creatures, or filled with brushstrokes and evocative forms within a traversable space. No matter the subject, all of their work celebrates materiality, which is paint. By unlocking its inherent possibilities and varied viscosities, these intrepid artists discover the particularities of their subject. They seem to have no set vocabulary, lexicon of symbols, or signature marks. They are adventuresome. The subject might be an astronaut on Mars, a pop music icon, or a voracious goddess devouring a hapless human. Courting chaos and the inchoate, their work is energetic and reckless. It is out of the collision between the desire for order and the recognition of disorder that their work emerges. All kinds of contradictions are woven into their paintings and works on paper. Phil Allen began exhibiting in 1979, and showed regularly throughout the 1990s, both in America and Europe. 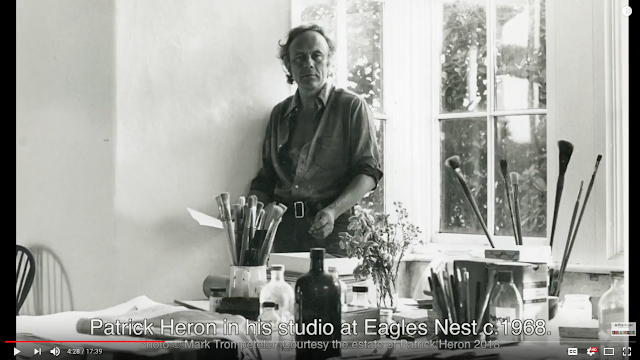 During that time, he received an Award in the Visual Arts from SECCA (1983), and Fellowships from CAPS (1980), the National Endowment for the Arts (1982) and the Louis Comfort Tiffany Foundation (1986). This is his first exhibition in New York in more than a decade. He lives in New York City and has been known to busk when the spirit moves him. Karen Schwartz is both a painter and a psychotherapist. She is represented by Hathaway David Contemporary in Atlanta, Georgia and by Life on Mars Gallery in Brooklyn, New York. Her first solo exhibition at Life on Mars (May 2015) was widely reviewed by critics as diverse as James Panero for the New Criterion, Kristi York Wooten for the Huffington Post, and Thomas Micchelli for the online magazine, Hyperallergic. 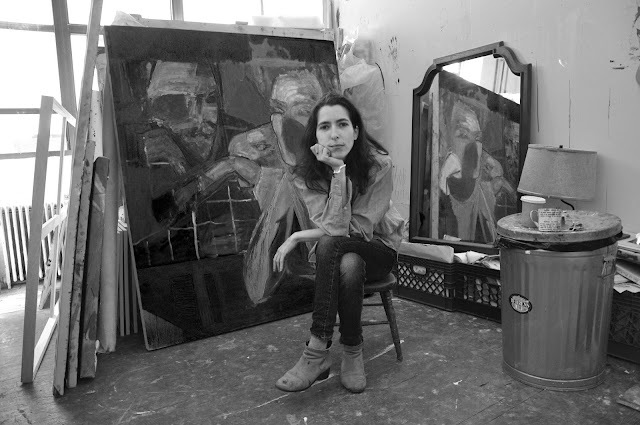 Clintel Steed’s work was included in the 2015 Invitational Exhibition of Visual Arts hosted annually by the American Academy of Arts and Letters. He first exhibited in New York City in 2004 and has been showing regularly ever since. He had a two-person show with Todd Bienvenu at Stephen Harvey Fine Art Projects in 2015.